This is a rectangular Aggeler & Musser Seeds porcelain sign. This particular Aggeler & Musser Seeds sign is predominantly yellow with black and red text. 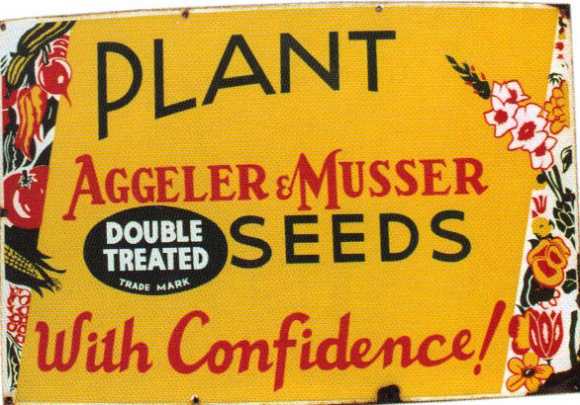 It reads, “Plant Aggeler & Musser Double Treated Trade Mark Seeds With Confidence!” and features colorful vegetables and flowers on either side of the sign.